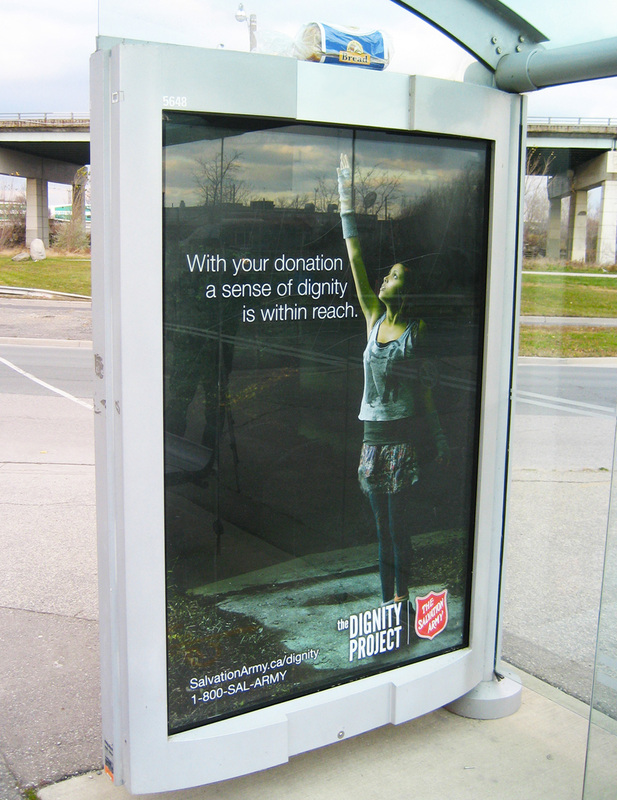 The Salvation Army in Canada is supporting their annual Christmas Fill The Kettle drive with a television commercial and series of innovative bus shelter ads with the tag line, “With your donation, a sense of dignity is within reach.” Needy people are shown reaching for an actual loaf of bread, bottle of water and blanket, as well as for advertised can of soup and a coat. 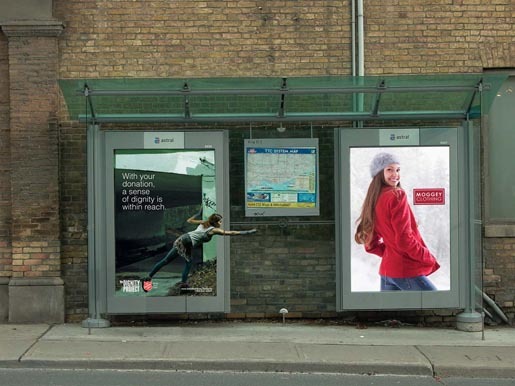 The campaign, created by Grey Canada, asks the public to put themselves in the place of the 3 million Canadians without access to everyday resources by illustrating that for many life’s basic necessities are out of reach. 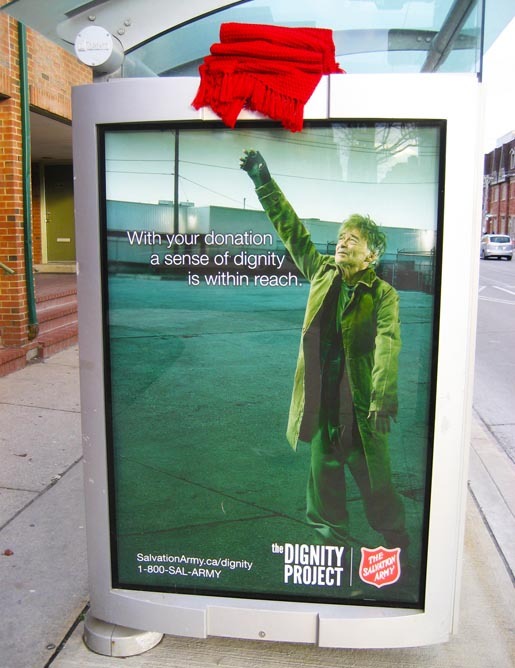 Funds raised in the Kettle drive will support social service programs that work to restore hope and dignity for vulnerable individuals during the Christmas season and throughout the year. 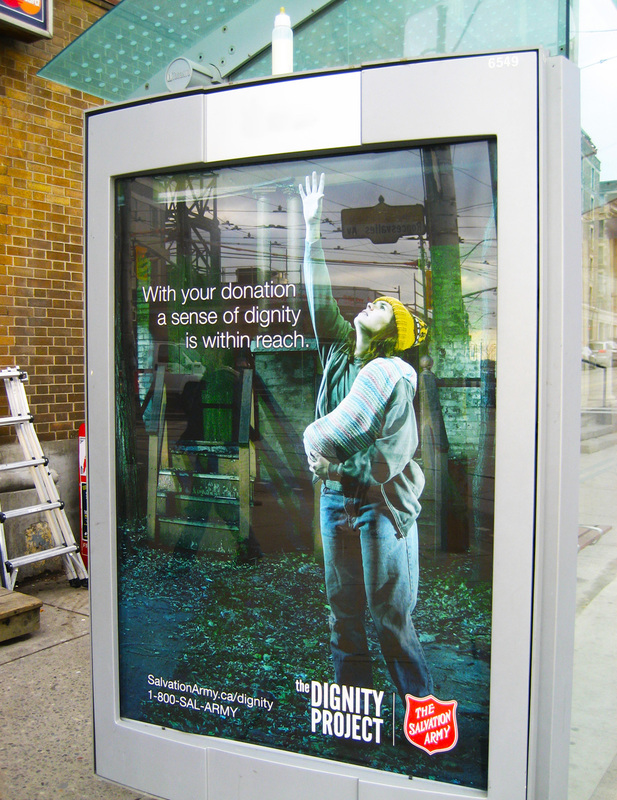 The campaign also builds awareness for The Dignity Project, a campaign to be launched in February 2011. The Salvation Army will tell the stories of people who struggle with poverty to show Canadians what it means to live without dignity. Community events will also be held across the nation. 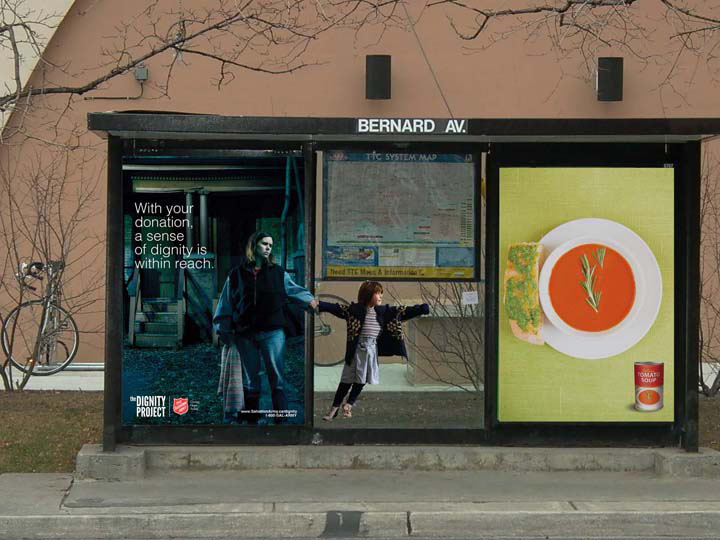 Sleep in the park events, vigils for the poor and blanket giveaways are among the projects being planned to kick off the three-year Dignity Project. The Dignity within Reach campaign was developed at Grey Canada, Toronto, by executive creative director Carl Jones, art directors Rick Mayzis and Dylan Moggey, copywriter Chris Tropak, managing director Jocelyn Renaud, broadcast production director David Smith, account supervisor Paul Forrest. Filming was shot by director Wayne Craig via Holiday Films with director of photography Dylan MacLeod, executive producers Derek Sewell and Josefina Nadurata, line producer Lawrie Badger. Offline editorial was done at Relish, Toronto by editor Steve Manz, executive producer Kate Bate and assistant editor Sandy Coles. Sound and music were produced at Pirate Radio and Television, Toronto, by Tom Goudie. VFX were produced at 567VFX by Sam Banack. Transfer was done at Notch, Toronto, by Elaine Ford. Casting was directed by Shasta Lutz at Jigsaw Casting.